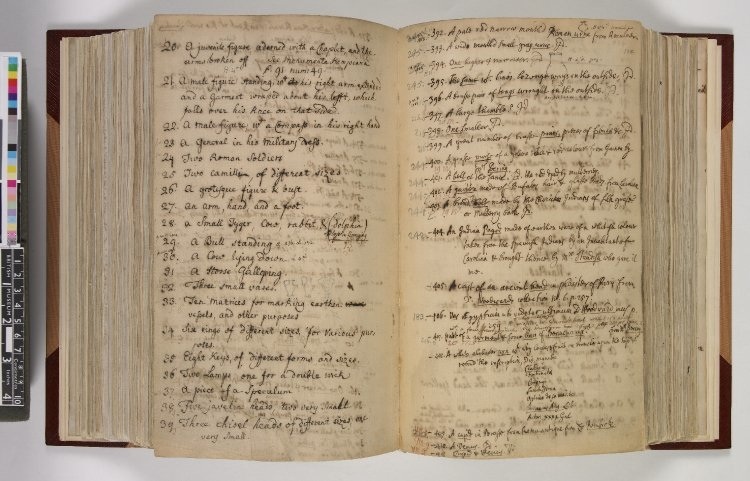 Hans Sloane (1660-1753) kept a rolling catalogue of his collections over the 70 years of his practice as a collector. Since that time, the British Museum that he instated through his will has continued to catalogue and recatalogue these materials — for a further 300 years, even as the collections were distributed across the Natural History Museum (1888) and the new British Library (1996). How can we use these multiple iterations and variants in object descriptions and categorisations of materials to understand not only the history of these collections, but also the knowledge and practice contexts in which they have been used — and indeed the actors who have created them? It is possible to use catalogues as a tool in epistemologising post-Enlightenment disciplines and creating a structured interdisciplinary context in which to discuss the very notion of disciplines itself.